One of the quickest ways to determine if you will be able to install the sunglasses yourself is to remove the lenses. 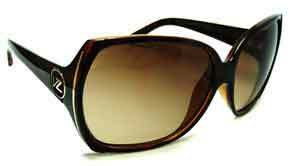 As a general rule, it is easier to install the lenses than to remove sunglass lenses. Watch the videos and try to remove your lenses. If it seems too difficult or you would just rather have us install them, order Custom Cut and Installed Sunglass Replacement Lenses and we'll do it for you.